We offer a wide selection of both new and used cars. Our inventory changes daily, so contact us with a phone call or though email to check availibility. 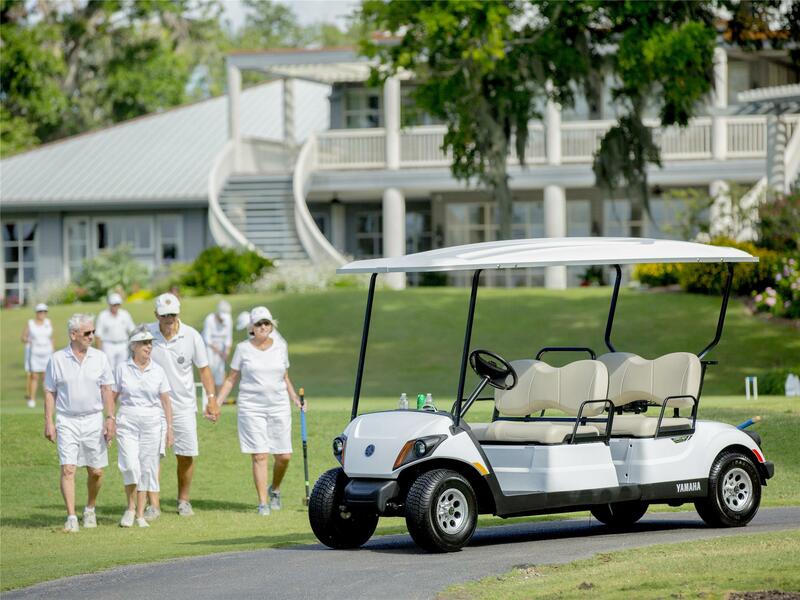 If you are looking to rent instead of purchase, visit the J&S Golf Car Rentals website. 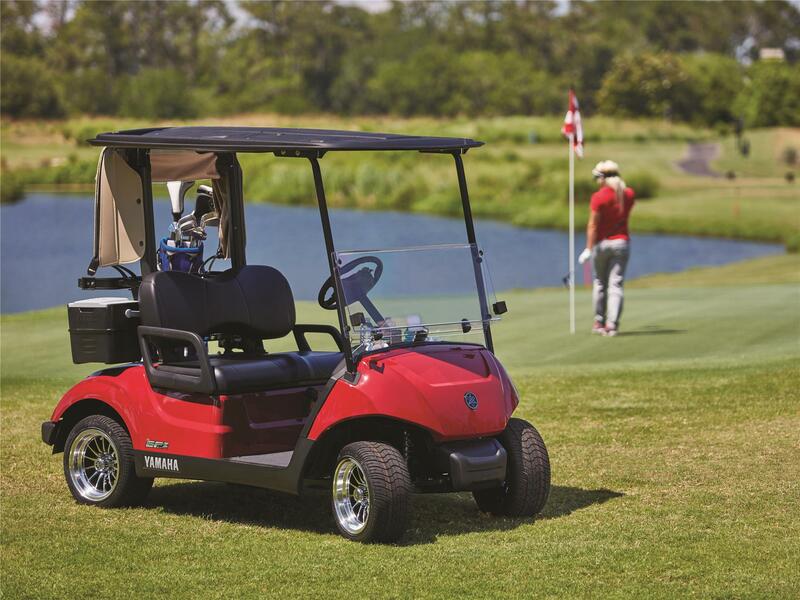 Take a moment to look below at a few of the different types of Yamaha golf cars that we offer. 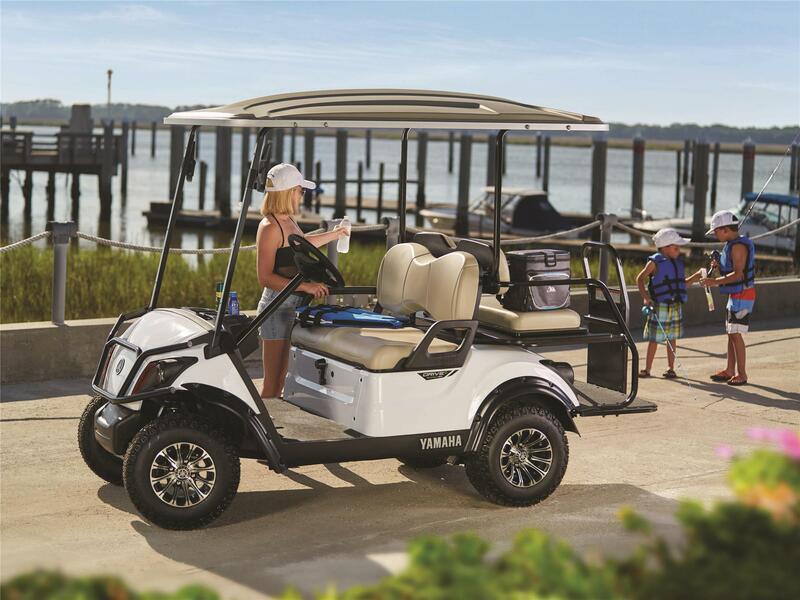 For a comprehensive list of the types of cars availible for purchase, along with a wide array of Yamaha brand accessories, visit the Yamaha Golf Cars website. The all new Drive2 features bold new colors and new body styling, it’s more luxurious, and offers more value than ever. 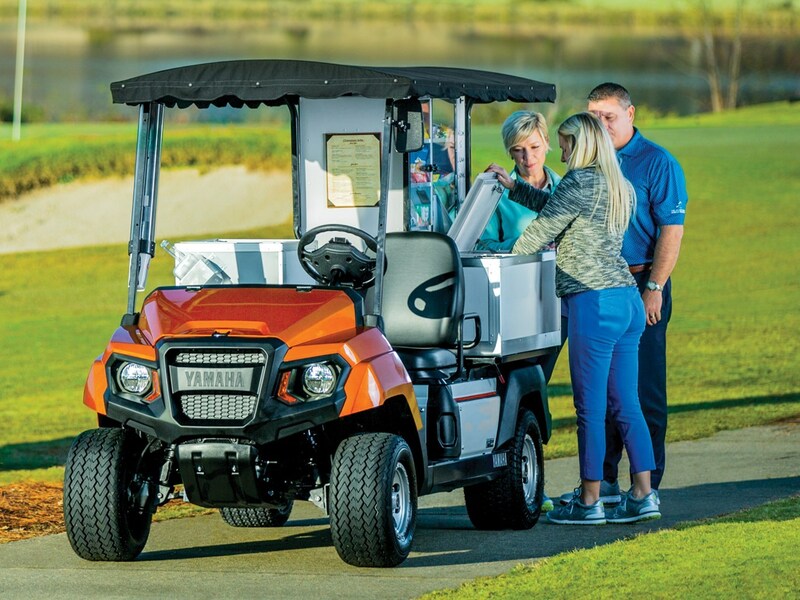 And as if that weren’t enough, we’ve built in new features and equipment designed specifically for your player’s comfort and convenience. Why choose between luxury and reliability? With the new Drive2 line of Personal Transportation Vehicles, now you don’t have to. Over 60 years of precision engineering and technological innovations come together in our most beautiful and luxurious personal car line. Servicing your customers is now easier than ever with our fully redesigned UMAX BistroTM. Featuring a four-lid ice chest, a sliding snack tray, and an optional coffee cambro, your guests will have easy access to the refreshments they need, any time. Sometimes the driving range can feel more like the shooting range. 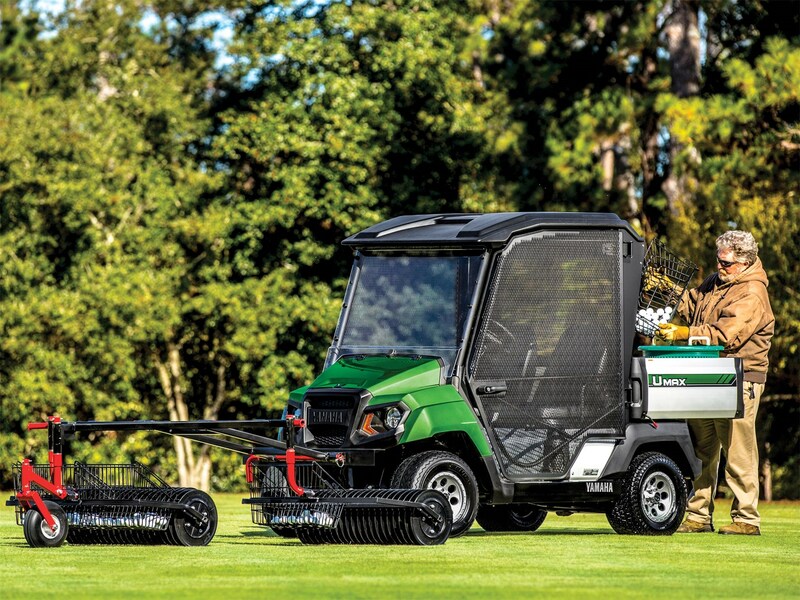 That’s why we’ve outfitted our Range Picker with every piece of armor a vehicle can carry, and still be able to roll. When your guests arrive, you want to make a lasting first impression. 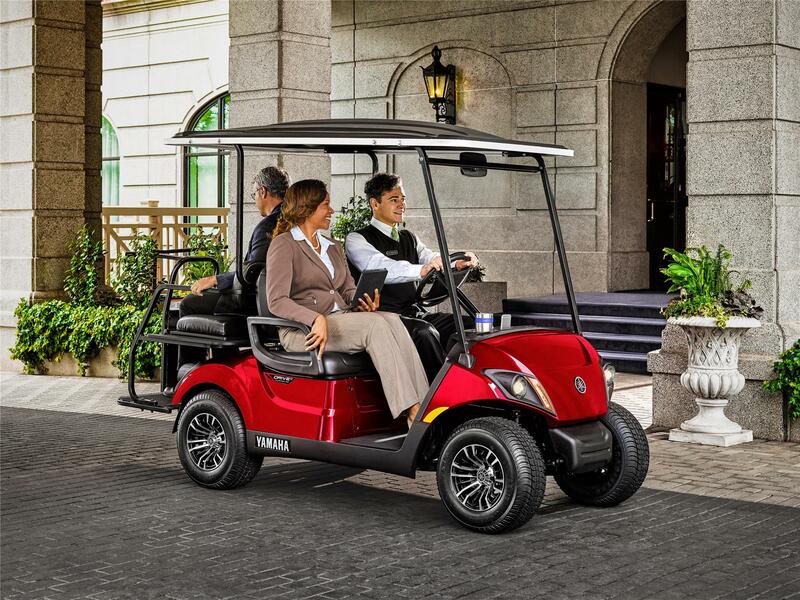 Knowing that, we’ve outfitted both our four and six-seat Concierge models with a wealth of features to impress even the most discerning passengers. 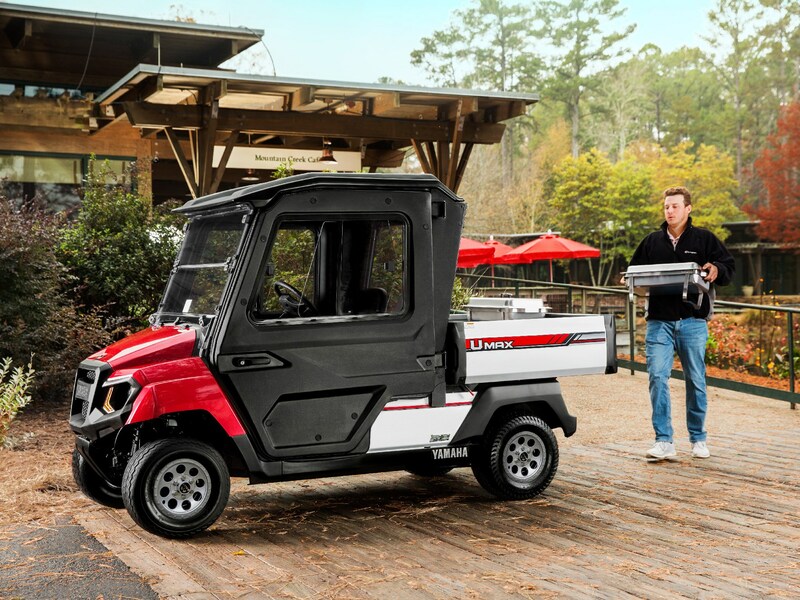 Whether you’re replacing waterheaters, or setting up for the day’s big event, this extra-large hauler will lighten your load. 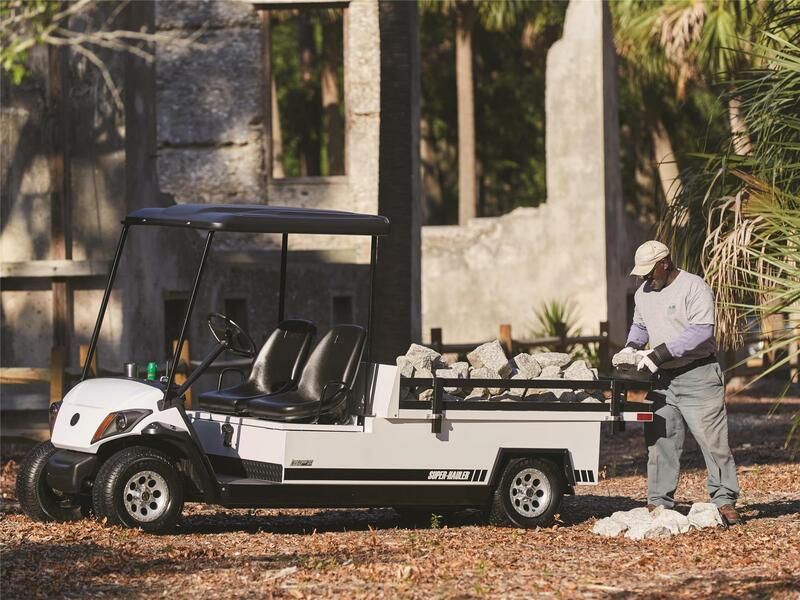 With durable, low-maintenance engineering, and a super-sized aluminum cargo bed, it’ll save you more than a few trips. Over the river and through the neighborhoods, it’s off to fun we go.The new Adventurer Sport 2+2 is as comfortable dropping kids off at baseball practice as it is scooting overt to the park.